Police are investigating a hit-and-run car crash on the A22 Hailsham bypass, 100 metres south of the Arlington Eagles roundabout, which happened at 5.40pm on Saturday (March 10) and left three people injured. A red Nissan Micra being driven north along the A22 and a silver Honda Civic Type-R travelling in the same direction were in collision, causing the Nissan to spin into the central reservation. The Honda is also thought to have spun before driving a short distance the wrong way - north on the southbound dual carriageway - and making off along the A295 South Road, Hailsham. It is believed to have sustained frontal damage and the man driving it may have had a beard. 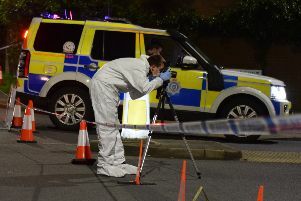 The Nissan was driven by a 35-year-old Eastbourne woman and had a 14-year-old girl and an 11-year-old girl as passengers. The driver suffered bruising and the 11-year-old whiplash, but the 14-year-old sustained head and chest injuries which saw her detained for treatment at Eastbourne District General Hospital. The A22 northbound was closed to traffic until 7pm while the incident was dealt with. Police are appealing for the Honda driver to come forward. They also want to hear from anyone who saw what happened, noticed either vehicle being driven shortly before the crash or who may have other information. They are asked to contact police online or phone 101, quoting serial 930 of 10/03.